The Hardin farmhouse in southern Illinois near the university town of McAbee and the Reuter farmhouse near the Mississippi River in west central Illinois may not be haunted by ghosts in the traditional sense. Nor is the campus hotel on university property in northeast China. However, they are the sites of some deadly visitations by age-old entities that appear to be much more threatening than ghosts. As you noticed on a previous post to this blog, the Ouija Board party in the Hardin farmhouse, which only two people out of the five people in attendance have so far survived, is where it started in DARK NEIGHBORHOODS. Dr. Harper Paget also encountered these creatures that have been enemies of his ancestors for centuries on the university campus — in the hotel where he was living while he taught there — in DARK CORRIDORS. The question is . . . what will happen at the Reuter farmhouse located in the Warrick Bottoms near the small town of Warrick where he and Corey Braedon (see last post) grew up? Harper Paget’s colleague back in the US decided to take advice from a friend of the originator of this blog on the paranormal. Dana Cassell, whom you have heard of if you are a writer, suggested to readers of her informative and valuable newsletter that writers should allow some of the characters to speak for themselves. “Lina Wibosona, a young lady from Indonesia who has been helpful to Harper, and Corey Braedon, a former resident of the same small town in Illinois where Harper grew up (but not at the same time; Harper is somewhat older), have been discussing Harper’s motives for pursuing these shape-shifting, time-traveling creatures who first appeared in ancient Greece as the lamiae (thought of by some who study ancient literature and cultures to be vampires). Harper has had other ideas. “Revenge,” Corey says to readers of this blog, “is Harper’s main motive for hunting these creatures, even half way around the world. He seeks revenge for the death of his wife in California, the death of his Indonesian pen pal who was murdered in China while there on a business trip, and the death of his friend and colleague from McAbee University while visiting Harper in Atlanta. He also feels that it is a duty he owes to his ancestors who have been opposing these creatures for generations. One ancestor was even burned at the stake for being a witch because of accusations brought about by these creatures who can re-appear at different periods during our history. “He also wants to solve a puzzle. He may even blame himself for the deaths of his wife, Floyd Hardin, and Emma, Floyd’s wife, because of what happened that during the Ouija Board party at the Hardin farmhouse. He knows he did not indirectly cause the death of Mira in China, but he wonders if his encouraging the proceedings at the farmhouse indirectly resulted in his wife’s death and, later, the death of Floyd who flew from Illinois to Atlanta to assist him, and Emma who was murdered in their farmhouse outside of McAbee. He and Lina are now the only ones who survived that Ouija Board party, and Corey, as he tells Lina, realizes this. “Was Harper doing anything more than investigating or doing research for his books on the paranormal?” Corey continues. “Lina tells me that he did not have the whole story about the beliefs in her country, even though he saw a connection between the lamiae in ancient times and the creatures which some people in Indonesia still believe exist today. So why was he so sure that what attacked people in Atlanta were these same kuntilanak creatures, as Lina tells me they were called? 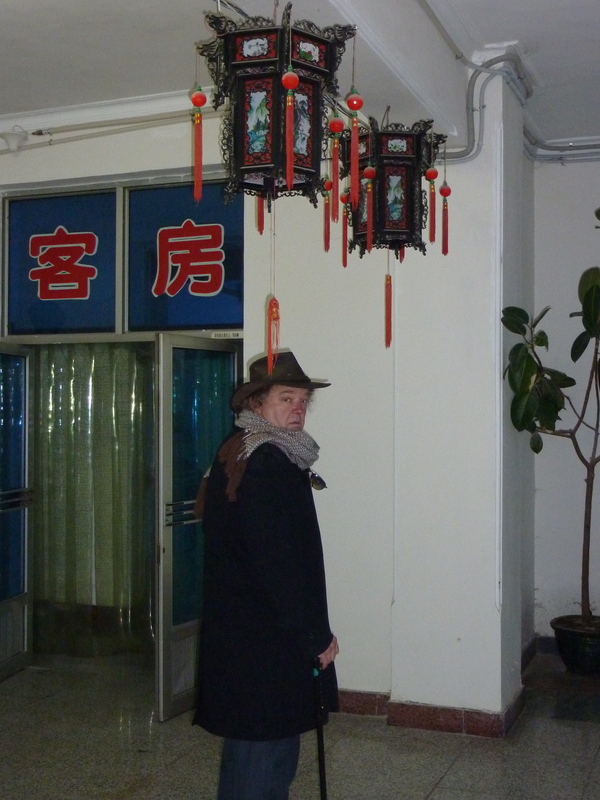 “If any of you see Harper, ask him these questions — even if you have to track him down in China where he is, as you can see below from the last photo we have of him, exploring dark corridors in a haunted hotel on a Chinese college campus. As I discovered, he was pretty much forced to leave his last university teaching post because of a violent confrontation between him and one of those creatures that occurred in that town where the university is located. He is certain that whatever is haunting this campus is not a ghost . . . at least as we understand the term. His friend Pierre Marchand and two young Chinese ladies, former students of Pierre’s, have visited him there. Maybe he will listen to them that he cannot fight these entities alone. “Maybe he will listen to someone on this blog. He doesn’t seem to want to listen to me or Lina.